The legendary stretch of water in the Atlantic Ocean has become a hive for conspiracy theories over the years after a number of aircraft and ships disappeared in mysterious circumstances. Explorer Darrell Miklos, 55, decided to investigate the shipwrecks in the region on the latest episode of Discovery Channel docuseries Cooper’s Treasure. 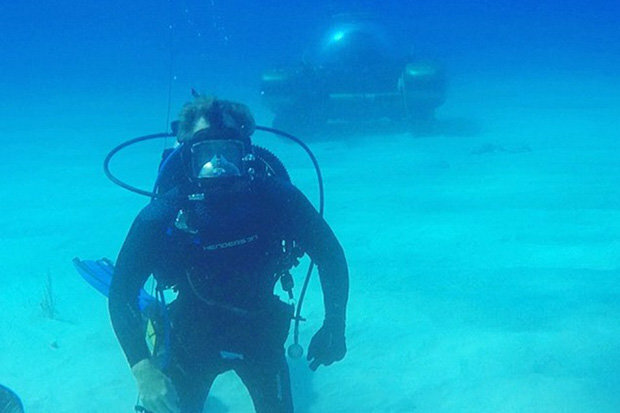 He used maps created by close friend and NASA astronaut Gordon Cooper to dive to the precise locations of the shipwrecks. And he was shocked by what he found. Footage taken from an episode shows the moment Darrell descends into the water in a submersible. Something then catches his eye and he “sees something that shouldn’t be there”. He is confronted with a huge unidentified submerged object (USO) which has 15 300ft long obtrusions jutting from its side. 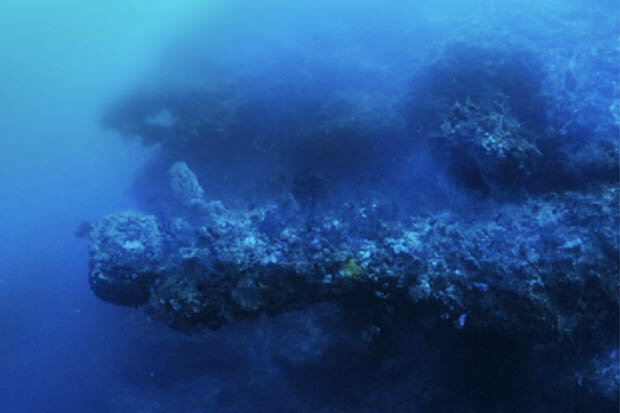 Recalling the moment he found the structure, the explorer told MailOnline: “It was a formation unlike anything I've ever seen related to shipwreck material, it was too big for that. “It was also something that was completely different from anything that I've seen that was made by nature. “It's almost like there are five arms coming out of a steep wall cliff and each one of these is the size of a gun on a battleship. When he got back to the surface, Darrell quickly dug into Gordon’s files and maps to find further clues. He found the astronaut had written “unidentified object” on the chart of the area he had been investigating. “Then it made sense to me why it wasn't identified as a shipwreck,” he added. The finding could support theories that alien activity is behind disappearances in the Triangle. Also known as the Devil’s Triangle, it has been linked to several unexplainable incidents over the years. The Triangle lies in a section of the Atlantic Ocean that covers 440,000 miles of sea. It is one of the busiest shipping lanes in the world, with vessels crossing through to get to ports in North America, South America, Europe and the Caribbean. When Christopher Columbus sailed on his first voyage to the New World, he claimed to see a great flame of fire crash into the sea one night and that a strange light appeared in the distance a few weeks later. One of the most famous mysteries was the disappearance of Flight 19 when five Avenger Torpedo Bombers vanished over the Triangle on December 5, 1945. All 14 men on the flight disappeared without a trace and a Martin Mariner Flying Boat also vanished during the search with 13 men on board. At least 1,000 lives have been lost in the last 100 years. On average, four aircraft and 20 yachts go missing in the area every year. 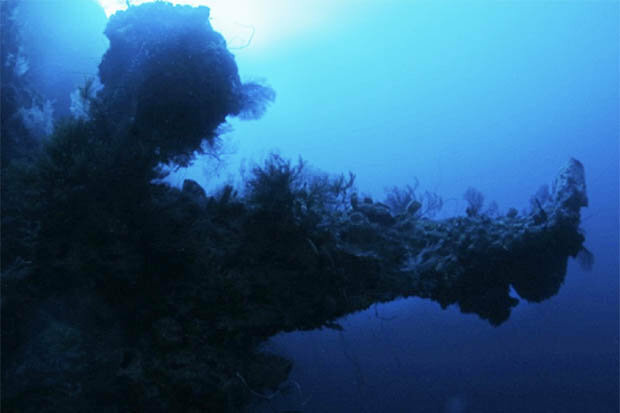 Veteran diver Darrell made his discovery during a hunt for the wreck of English ships related to the 16th century British sea captain Sir Francis Drake.